The VPHS Baseball Boosters is the official booster club for the Villa Park High School Spartans Baseball Program in Villa Park, California. We are a non-profit volunteer organization composed of parents, coaches, and others in the community who are interested in supporting the VPHS Baseball program. Through dedication and teamwork, we support the enhancement of successful student athletes by promoting academic and athletic excellence, good sportsmanship and character building relationships. 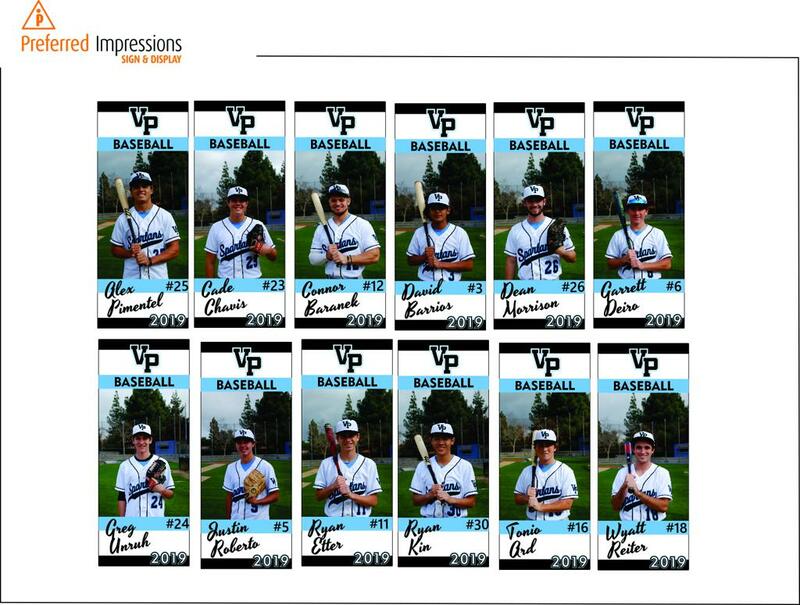 Our commitment provides further support by raising funds to benefit and promote the VPHS baseball teams. Many thanks to the Ferguson Family for their continued support of VPHS Baseball. Please visit their Facebook page to learn about the foundation established in the memory of their son, Ryan, which raises funds to establish scholarships and donations to a variety of causes. All athletes must complete the physical and forms prior to participation in summer camp. Click this link for the most up-to-date schedule and standings! Thank you to Chad for taking fantastic photos of our boys all season! Please visit his website to view photos that are available for purchase. Thank you to Lamppost Pizza for providing lunch for our Youth Baseball Winter Camp! Thank you to Katella Grill for providing breakfast for our golf tournament! Thank you to Jersey Mike's for providing lunch for our golf tournament! ©2019 Villa Park High School Baseball Boosters / SportsEngine. All Rights Reserved.